For the second year running, City of Peterborough Swimming Club (COPS) are boasting a full international call-up. Last year Rachel Wellings and Amelia Monaghan were in the Team GB squad that swam in the European Junior Championships in Israel. COPS head coach Ben Negus and assistant coach Becky Barsby. This time it’s Jamie Scholes getting the call. 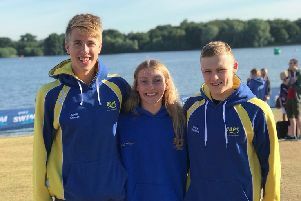 The 18 year-old talent has been selected to compete for Team GB at the European Junior Open Water Championships in Malta in July. The selection comes on the back of an outstanding swim at the Best Fest Open Water Swim Festival in Majorca two weeks ago when he triumphed in the Colonia Classic 10k open water sea race which was held on the famous Es Trenc Beach. 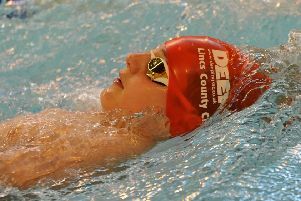 He finished first out of an international field of 74 swimmers by a convincing margin of nearly two minutes. And last weekend he was fifth - just 20 seconds behind the winner - in the Great North Swim in the Lake District where over 1,000 swimmers took to Lake Windermere. Scholes, who joined COPS when he was eight years-old and who is now a full-time swimmer on the Team GB elite pathway, was also the national open water champion last year. He has also won national medals in the pool and a whole host of regional titles. His mentor for the last 10 years, COPS head coach Ben Negus, described the selection as ‘awesome news’. Negus said: “Jamie is a credit to himself and the programme we have at COPS. He has been a pleasure to work with for the last 10 years. “His decision to try open water only came this time last year. “While he’s been national champion and medallist in the pool on a number of occasions, we knew he could probably do something special in the outdoor version - he just lacked experience. “So to earn GB representation is an awesome step forward. “Jamie is an excellent athlete, not just talented but a personality as well and a pleasure to coach. He is extremely committed, training 24 hours a week to achieve his goals.